Delegate Gary Howell, R-Mineral, chairman of House Government Organization committee, directs discussion on HB 2203 - The West Virginia Contractor Licensing Act. 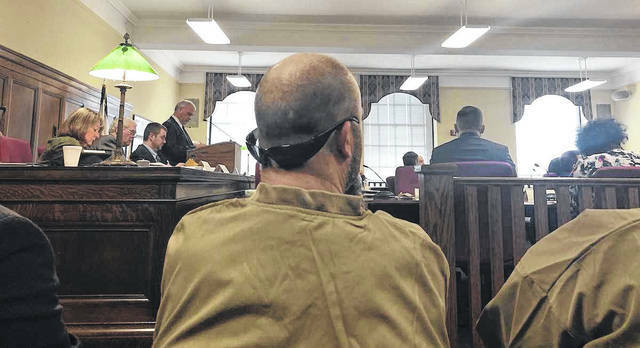 CHARLESTON, W.Va. — The West Virginia House of Delegates Committee on Government Organization met this week for a discussion on HB 2203 – West Virginia Contractor Licensing Act. House Judiciary Committee Staff Attorney Kip Reese answered questions from the delegates for the first part of the meeting. Delegate Phillip Diserio, D-Brooke, voiced concerns of not see some specific types of contractors listed in the bill, namely ‘electrical contractors’ or ‘general building contractors.” Reese assured him the list in the bill was not the “end all be all” list and all contractors would be included. Delegate Randy Swartzmiller, D-Hancock, also posed a question regarding the current board’s pay. When Reese was unsure of how to answer, Swartzmiller asked who would be able to give the delegates the information. Committee Chair Gary Howell interjected at this point, saying there had been a request for someone from the Division of Labor who could answer the question, but there was not anyone at the time who could answer. “The question you’re asking is appropriate for someone from the Division of Labor, not counsel,” Howell said. Howell pointed out the House’s attorneys “can’t know the specifics on everything.” and stressed the importance of bringing in experts. Michael Sams, Deputy Commissioner of the Division of Labor, then came to the podium to answer questions. Delegate Swartzmiller then pointed out the new board would be permitted to contract out to the Division of Labor and asked Sams how the process would work. Sams’ said if the new board does not utilize the Division of Labor, there will be a $3.5 million startup cost for the new board and for its staff and when contractor licensing fees are taken away from the division, there will be a $1.6 million dollar void left to fill, possibly by the legislature. Delegate Caputo further questioned the $1.6 million dollar void and how it would affect Division of Labor workers. Sams did say it could result in “at least 25 percent” of the workforce being laid off. Next to speak was Mike Clowser of the Contractor’s Association of West Virginia, who said he has a good working relationship with the Division of Labor and was involved in drafting this legislation. When it came time to vote on the passage of the bill, delegates Caputo, Diserio, Swartzmiller, and Staggers urged their peers to vote no. Swartzmiller asked his fellow delegates to “think about our roles as government officials” and expressed concern about loss of money and manpower for the Division of Labor. Staggers said, “The closet Republican part of me doesn’t understand this” and said she would prefer to cut spending. After a role call vote, the bill passed 14 to 10. Delegate Gary Howell, R-Mineral, chairman of House Government Organization committee, directs discussion on HB 2203 – The West Virginia Contractor Licensing Act. Erica Young is the Capitol Reporter for the West Virginia Pres Association.